Chalet 'Le Caribou Neige étoilée ' pretty cottage in downtown Saint Lary. Fireplace, fully equipped kitchen, 2 large living rooms, 5 bedrooms, 1 bathroom, 2 shower rooms, 3 toilets. Terrace, garden and private parking. The Chalet is on 2 floors . Ground floor is planned 4 people. Kitchen, living room (sofa bed 140x190), bathroom with shower, toilet and a large bedroom (bed 140x190). The top of the chalet is planned for 10 people . Living and dining room with fireplace, fully equipped kitchen with center island, spacious living room, large diners table . A very spacious master bedroom with dressing room, with double bed (140x190) and views of the church, another one bedroom with double bed (140x190), separate toilet and bathroom. 1 bedroom (bed 140x190), 1 childrens room with 4 bunk beds (90x190), shower room with toilet . 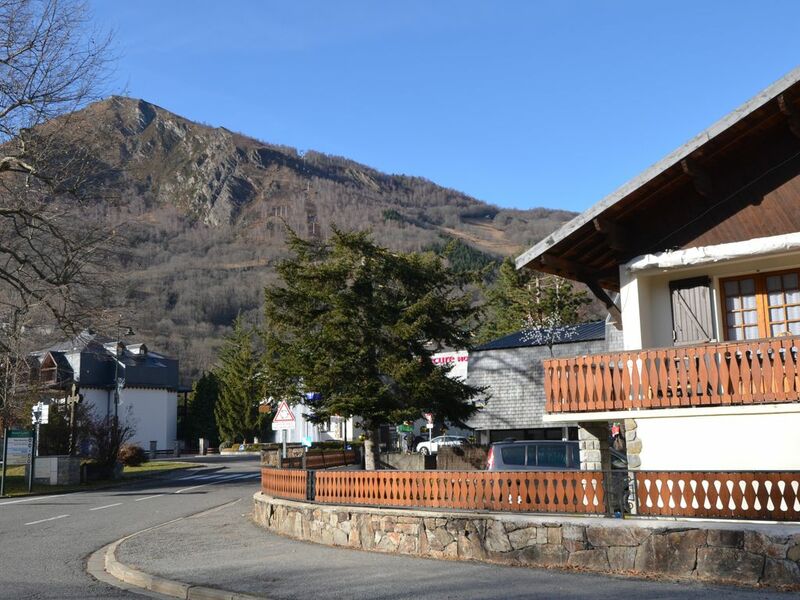 In the village of Saint Lary Soulan, the first ski resort in the Pyrenees, in front of St. Mary's Church, thermal baths and wellness center Sensoria Rio, open for all, close to downtown, quiet. Near the chairlift. Private parking for 5 vehicles. Due to the stage of Tour de France 2014 and privileged location, the cottage is rented 1 week price minimum including July 23, so 2900 euros. Arrival after 4pm. Departures before 11am. Damage deposit 500 € in cash or credit card, refundable on your last day. Check in/Check out between 9pm/8am are increased by 50 € . A Nice flat for a good stay... see you soon. tre bel emplacement et maison tres bien maintenue. Seul inconvenient, une seule salle de bains pour huit personnes. Merci de votre appréciation mais je ne comprends pas votre commentaire sur la salle de bain car il y a en a une à chaque étage, donc je ne vois pas pourquoi 8 personnes pour une salle de bain? One that is offered is in an ideal location and deal with everything that is to say that you are in front of the street stops and buses to get on the slopes. You go through and you walk 3 minutes you are in front of the new gondola. You're facing a physician (derrier church) and near a pharmacy. You are in front of the beautiful church of St Mary, without any opposite if not the street.